A pet-perfect yard is now perfectly easy without expensive fences or buried wires. 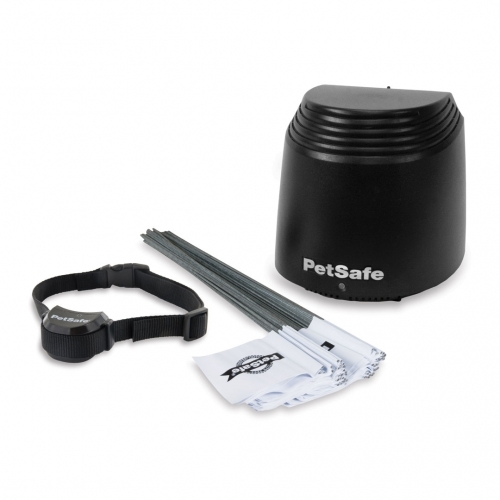 Keep pets playing happily and secure in your yard and off the street. The sleek in-home unit is tiny and portable; it just needs an outlet! The waterproof, rechargeable collars are our smallest yet. With easy training, custom collar settings, and protection up to ¾ of an acre, the Stay + Play Wireless Fence gives your pet the best in yard freedom.